Oh this theme fits in so many ways. Time. The lack of it, the changing of it, the passing of it. It’s that ‘time’ of year where the minutes and hours and days seem to trickle through so quickly. With the holidays approaching and the days in the northern hemisphere getting shorter and shorter it seems like time is something on all of our minds. I’ve been zipping across the western hemisphere the last few weeks. From new york to california to argentina and back to new york. The time changes and the time zones playing in my mind. It’s become a fun mental challenge to try to remember which time zone I’m in and which zones my loved ones are in. My watch even now, is still set to the time in Buenos Aires. 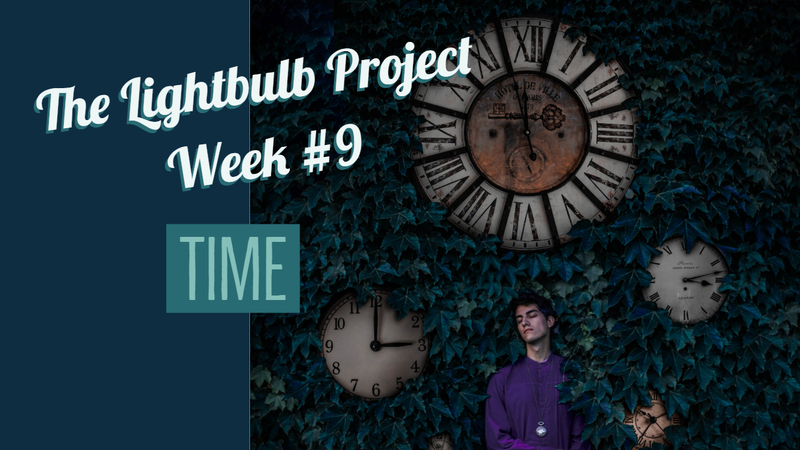 We did the theme, TIME, in the first year of the project but I feel it’s such a diverse and interesting concept that I know it will inspire everyone in the group to create amazing pieces of work. My own image was inspired by the model I used in the photo, my friend Fer, who I’ve been following as a photographer for several years and had the opportunity to meet last week while in Argentina. We all have our “icons” in our photography, our objects or items that frequent our work. Mine tend to be lightbulbs and balloons and books, and for Fer, it’s clocks. 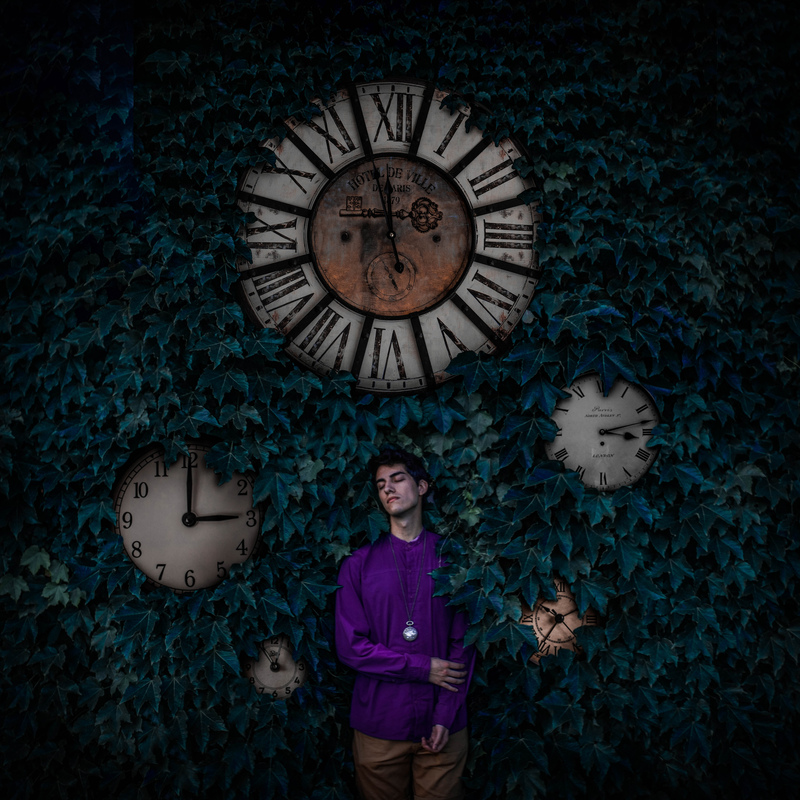 His photos often feature them and I knew that if I was going to create an image using him as a model, it would have to have an element of time as a theme. My idea came from that time spent in Argentina, it was brief but filled with a lot of memories. In just a few days many friends were made and experiences shared and I wanted my image to reflect that idea of these moments in time emerging and being held in place. I have 6 clocks, one for each day of my time spent there and Fer is holding the smallest one around his neck, it’s not frozen in time because maybe it’s keeping the time going until the next time we’re able to meet and take photos together. One of the clocks is large, to represent that big day of teaching a big class of students, I was nervous but it was such a great day and filled with so many wonderful people. A couple of the clocks are faded almost all the way back, they’re the days that I felt a bit tired and clouded in my mind but still have memories from that time to preserve. I chose to turn Fer’s shirt purple to match the colour of the flowers budding on the trees that lined the street we walked every day to the conference, a sign of spring in the middle of winter.